How to become a Pinterest virtual assistant is a question that I'm asked quite frequently! I got my start as a Pinterest virtual assistant back in 2015 and it's completely changed my life. People are always fascinated by the role of a Pinterest virtual assistant, as it is still a fairly new career for many people to grasp and fully understand. Surprisingly, this is not a topic I write about too much on this site. I think it's important to point out that I got my start as a blogger, with absolutely no experience. 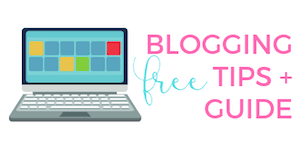 If you are interested in leaning more about blogging, I recommend checking out all these free guides and workbooks. Now that I focus so much on all my Pinterest courses and products, I decided it's time to share more about how I go started as a Pinterest virtual assistant and how I got to where I am today. Even though Believe In A Budget is geared around making money online and side hustles, there's more to my business than just this website. As many of you know, a lot of my time these days is spent on my Pinterest courses and products, including Become a Pinterest VA TODAY! If you've read my most income reports, you'll know that my blog and business income comes primarily from my Pinterest courses and products, affiliate income and ad income. When I first got started with my income reports, much of my blog income came from working as a Pinterest virtual assistant. Since launching Believe In A Budget in 2015, a lot has happened over the past two and a half years. 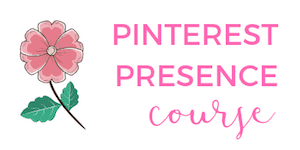 Here's how I made the progression from a Pinterest virtual assistant to teaching multiple Pinterest courses, creating Pinterest products and speaking about Pinterest. After I settled into a schedule – I went on to write three times per week for my entire first year of blogging! – I realized that I needed to do something about my traffic. While I shied away from Facebook and Twitter, one area where I felt comfortable was Pinterest! Pinterest made complete sense to me. With a background in design, I was able to quickly design images that were ‘pin-worthy' and clickable. I started studying pins that ranked really well. I focused on images, colors, fonts and pin descriptions. One of the important findings was that I was able to grow my traffic with a relatively low amount of followers. At the time of publishing the case study, I had around 2,700 followers on Pinterest. This was astonishing because I didn't have to focus on the number of Pinterest ‘followers' in order to get traffic back to Believe In A Budget. Shortly after my traffic increased, I wrote this case study about how Pinterest helped my blog grow from 5,000 monthly page views to 40,000 monthly page views in only a couple of months. While the Pinterest case study had absolutely nothing to do with my website, I decided to publish my findings anyways. I figured if anything, maybe my post would help a fellow blogger who was new like me! After publishing the Pinterest case study, everything changed. Everything! Initially, I resisted. I wanted to tell everyone no because I wasn't sure I was qualified to help them. But the more I thought about it, the more I realized that this was the door I was meant to walk through! I also decided to get more pro-active and created a ‘hire me' page on my website. Even though Believe In A Budget was primarily focused on budgeting and side hustling, I decided that I had nothing to lose by adding this freelance page to my website. My ‘hire me' page really helped take my services to the next level. In addition to helping bloggers in all different niches, I started working with businesses across the country and internationally. My Pinterest business grew quickly. Before I knew it, my small Pinterest VA business was getting bigger and bigger. Due to the demand, I was able to launch my own Pinterest management company! In addition to my full time day job, I quickly had over a dozen clients within a couple of months of publishing my Pinterest case study. I was working around the clock and struggling to keep up with everything. 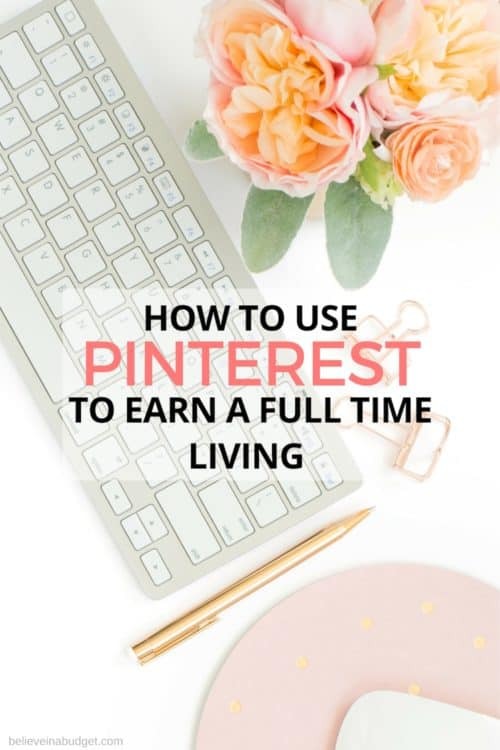 Within ten months of launching Believe In A Budget, I was able to walk away from my day job to become a Pinterest virtual assistant and blogger full time. I haven't looked back since! In 2016, I realized that my Pinterest management company was still growing and I was starting to get overwhelmed! I was turning down potential clients left and right because I didn't have any free time. I was working with a couple of different VAs to help run my business, but still was feeling a constant pressure to go, go, go! 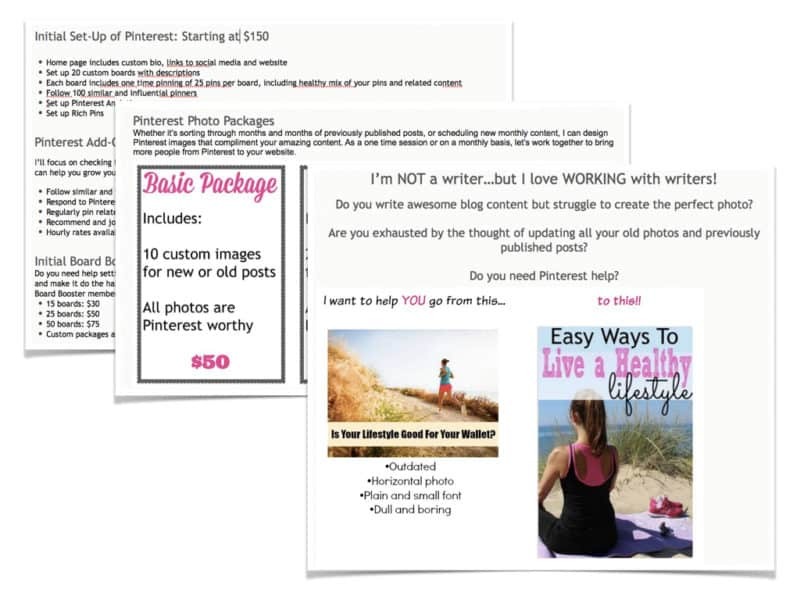 In addition to the services I was offering as a Pinterest virtual assistant, I was increasing the amount of consultations that I was offering as a one time service for bloggers and business owners that wanted to learn how to use Pinterest, but go the DIY route. It soon became obvious that I was giving many of my client consultations much of the same framework to get started with Pinterest. While each consultation was customized to fit the client, I definitely felt that everyone was in the same position when just starting out. After a lot of thinking, this lead to creating Pinterest Presence, an online course for bloggers and business owners that want to use Pinterest but go the DIY route. I took all the information that I applied to myself and all my clients, packaged it into a course and started to offer it to clients that I didn't have time to help due to time constraints. As Pinterest Presence launched and started to do well, I decided to pivot in my business. Pinterest Presence was helping entrepreneurs and providing an extra source of income for my business. After much debate, I decided to scale back my Pinterest management business. I significantly raised my rates for the majority of my clients – secretly in hopes that some would break up with me so I could reduce my workload. I realized that I could free up a large majority of my time by keeping a handful of clients and save money by reducing the need for VAs. The transition wasn't easy – there were a few bumps in the road. 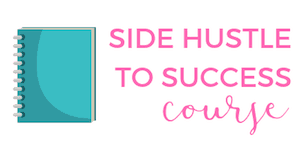 The greatest advantage to pivoting was that I was able to continue making the same income from Pinterest virtual assistant work while having a small fraction of clients! I also had more free time to get creative, which is something that had been lacking from my schedule. This meant I could improve my courses to stay current with the latest Pinterest trends and introduce other products that could help DIYers. In addition to growing my Pinterest business, I started accepting speaking engagements geared around Pinterest. I also became a Tailwind ambassador, which has an official partnership with Pinterest. Now I get to work with the awesome team at Tailwind to help educate other bloggers and business owners learn how to use Pinterest and Tailwind! Coming full circle, I was also able to create Become a Pinterest VA TODAY! in late 2016 with my joint venture partner Gina Horkey of Horkey HandBook. Because of the shortage, Pinterest virtual assistants are in high demand. There's plenty of room to go around for everyone and this is a niche you don't want to miss out on! I started off not knowing anything as a Pinterest virtual assistant and quickly became in expert in less than two years. It's amazing that without any background experience, I could earn a full time living working from home. Have you ever offered virtual assistant services? Hi Kristin, I’m just starting out with my research on becoming a VA with Pintrest. Could you please give me some insight on how to get started with my potential career? I’m always really scared to get started but I have a drive and a will to learn. Being a stay at home mom with a baby plus 2 older kids, this would really help our family! Intrigued. This may be great for me. This is awesome! I won’t be a Pinterest VA anytime soon, but this is still interesting to me, especially because I have to create my own graphics! It’s regularl changing because we keep adding to the course and updating sections. If you go to pinterestva.com, get on the waitlist – you’ll receive pricing when we launch! My daughter just moved due to her husband’s job. She is very interested in becoming a VA. I’m recommending she take your course. I have been following Michelle’s blog for a couple years. She makes great recommendations. Wow!! You just became my #1 inspiration! Love this! I quit working in retail and call centers when I found out there were so many ways to make money online & that were higher paying too! I’m curious. With the rise in popularity of Instagram and Snapchat, I know that I don’t use Pinterest like I used to. Neither do my friends. In fact, maybe it’s just me/my age group, but among people I know we’ve chatted about how we’re not on Pinterest anymore! I wonder, are companies still spending money to hire people who can drive traffic via Pinterest, or do you think it’s more of a declining method of attracting traffic? I imagine as a Pinterest expert you would know! Thanks and keep up the great content!